Embellished with intricate swirls of golden embroidery at the neckline, the Tresor is fashioned with a flattering A-line silhouette with an added touch of urbanised luxe. 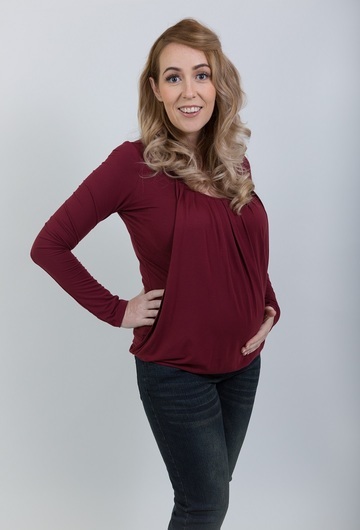 Designed for maternity and nursing, the Tresor top promises a fluid bodice and drapes effortlessly for a flattering fit. Crafted of eco-friendly bamboo fabric, this stylish nursing top scores equally high on comfort. -Luxe and soft gold embroidery details along neckline.